RE: Whats the worst your Lego addiction has got to? 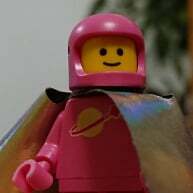 RE: LEGO Classic Space, I want to understand, and try to help those fans. ^ So, #60195 in space. #60194 and #60195 - the snowmo-cycle chassis.